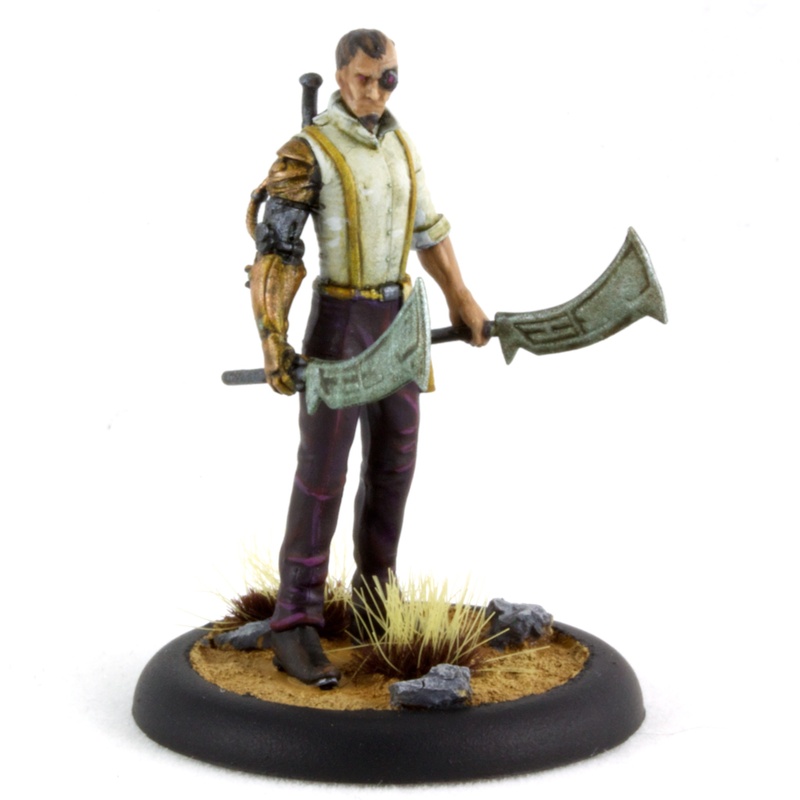 This model represents my second Guilder model. Unlike Vintage Pandora, the sculpt itself is kind of underwhelming. But slap a “limited edition” label on it and I’m helpless, evidently. Between the Coryphee, Miss Step, and now Dr Alexei, my Dark Carnival crew is be spoiled for choice for big point hitters. Now I just need more special edition little guys to fill it out. I bought Miss Step way back at Black Friday 2014, and it’s been sitting there, waiting for more Arcanists to give me an excuse to paint it. Finally the time has come. I copied the technique used for my last spider-person model, the somewhat beefier Colossus from Guild Ball. By putting a foot up on a rock, it gives the model a bit of movement, although from the side it makes her look a bit off balance. When I remember to use it, the rock gives a little handle to pick up the model, too.